A man in his 40s has been arrested after a quantity of controlled drugs was found in his car in Dublin. 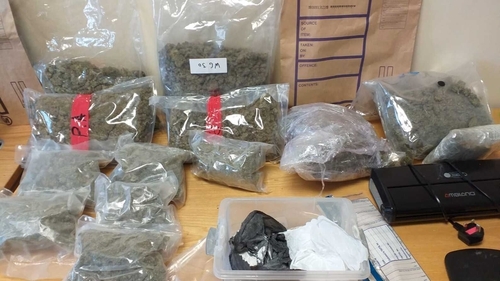 Cannabis worth €5,000 was found when gardaí stopped and searched a car on the Grange Road in Rathfarnham area of the city. The man was arrested and was brought to Rathmines Garda Station. He is due to appear before Dublin District Court tomorrow. Following the seizure, a house was searched at Glenmore Court in Rathfarnham. Gardaí discovered a further quantity of cannabis and cocaine worth an estimated €100,000.